Export Credit Guarantee Corporation of India Ltd. has released a notification for the recruitment of Probationary Officers in various disciplines. Interested candidates may check the vacancy details and apply online from 01-01-2018 to 15-01-2018. 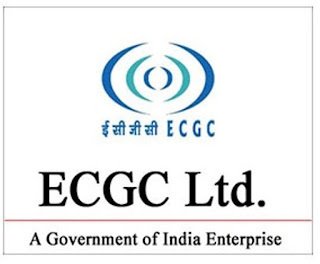 More details about ECGC Ltd. Recruitment 2018, including number of vacancies, eligibility criteria, selection procedure, how to apply and important dates, are given below..
For Legal Department: Candidates should have passed Bachelor of Laws (L.L.B. )/Master of Laws (L.L.M.) from a recognised university. For Accounts Department: Candidates should be an Associate Member of Institute of Chartered Accountants of India (CA/ICWA/CFA). For Company Secretary Department: Candidates should be an Associate Member of Institute of Company Secretaries of India (ACS). For Actuary Department: Candidates should be a Student Member of the Institute of Actuaries of India who has cleared at least 3 papers including CT-1, CT-2 and CT-3. For IT Department: Candidates should have passed B.Tech. or B.E. in CS/IT OR MCA with certificate course on Cyber Security of duration of at least 6 months from a recognised university/institute. For Economics Department: Candidates should have passed M.A. Economics with minimum 60% marks from a recognised university. For Commerce Department: Candidates should have passed M.Com. with minimum 60% marks from a recognised university. For Generalist Department: Candidates should have passed Graduation or Post-graduation Degree with minimum 60% marks from a recognised university. Minimum 18 years and Maximum 30 years (as on 01-01-2018). General/UR/OBC candidates have to pay Rs. 600 and SC/ST/PWBD candidates have to pay Rs. 100 through online mode using Net-banking/Credit or Debit Card. Interested and eligible candidates may apply online through ECGC Ltd. website - https://www.ecgc.in/career-with-ecgc/ - from 01-01-2018 to 15-01-2018.